The Indiegogo app comes localized for both Canadian English and French, and will roll out globally in the coming months. The app allows backers to search, support and share Indiegogo campaigns in various categories such as technology, health, art and photography. 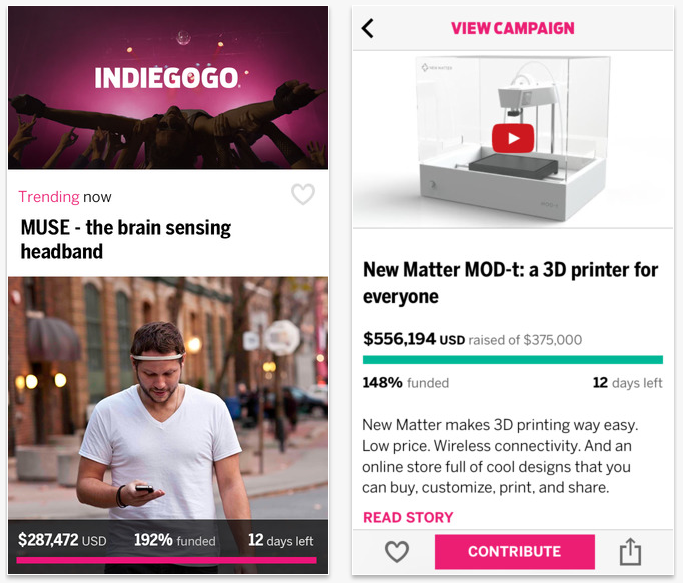 For campaign holders, the Indiegogo app brings the ability to fully manage and launch new projects from the iPhone, including the option to receive notifications when a contribution has been made, as well as manage comments, and post campaign updates with photos.